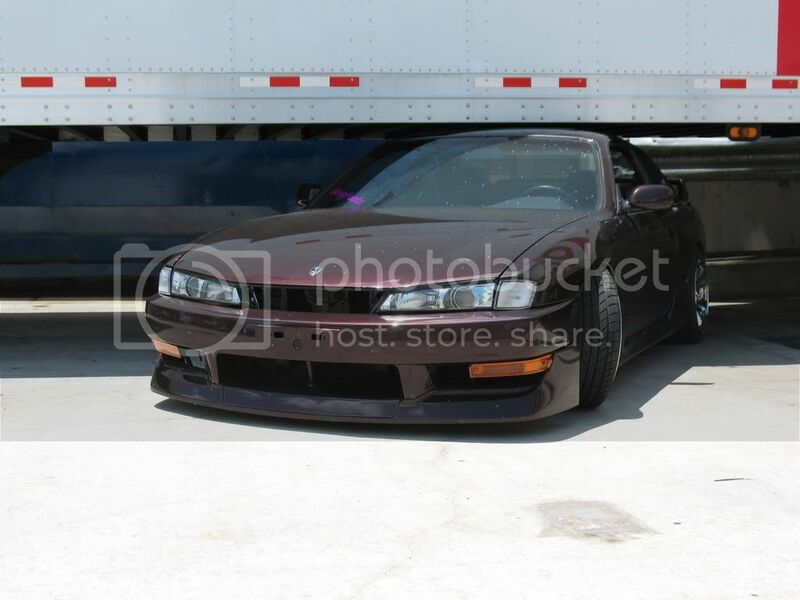 Name says it all, who has the lowest car with a body / lip kit? Any brand, any combo, any Nissan. Pictures show us how much your daily commute hurts. Old shot of my S14 back when it was my daily. Silk Road RM/A8 coilovers. Had to have the resonator removed from the exhaust because it used to take out reflectors on the highway while merging. Got stuck on speed bumps around campus more than once and had to get people to push on the trunk for me to get traction. Overall though it wasn't too bad to drive as long as you paid attention to the road. Under the truck shot is awesome!